To support health and wellness in our community, and raise much-needed funds to keep health services and programs in our community, Lumby & District Health Services Society is hosting the Prescription for Health Walk Roll Run Event on July 1, 2019. This Fun Run event is open to all ages and mobilities. Push a stroller or ride a scooter, walk or run – no matter how you participate, we applaud your healthy choice and thank you for your generous donations. To encourage participation, the 1 km Walk or Roll Event is by donation only. People of all mobilities are welcome to participate. 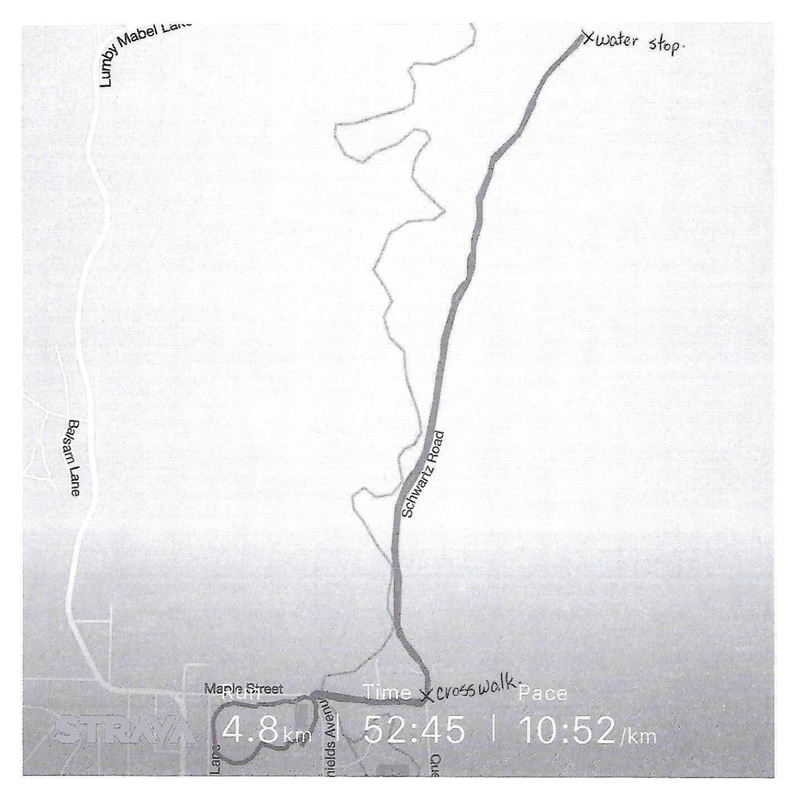 Whether you are pushing a stroller or using a power scooter, our flat route around the Lumby Oval welcomes your participation. 1 km walkers and rollers do three laps around the oval. 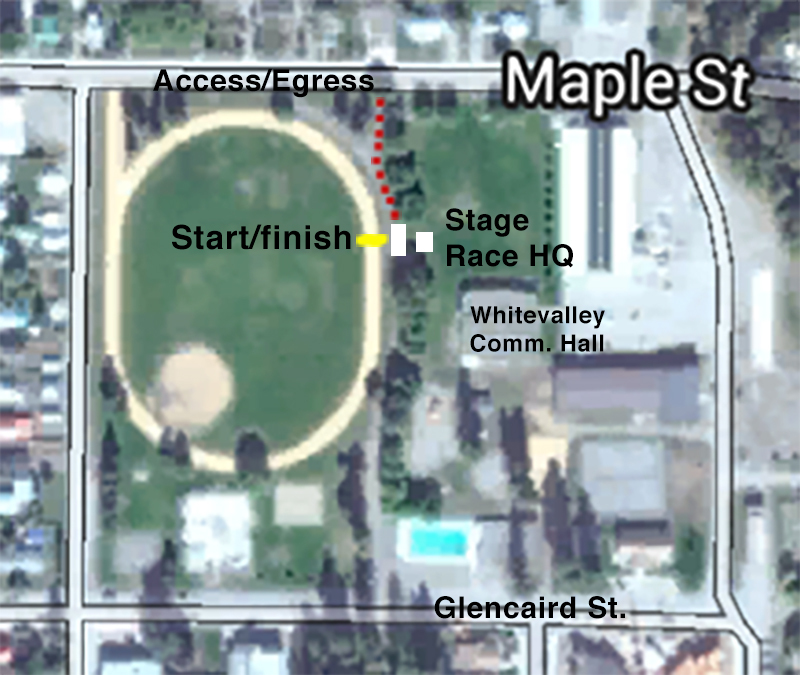 The 3 km route starts behind the community hall on the oval track with a quiet walk through town following the path to Cedar Ridge Street and up joining to LaBlanc Street and down to the oval for one round to finish. 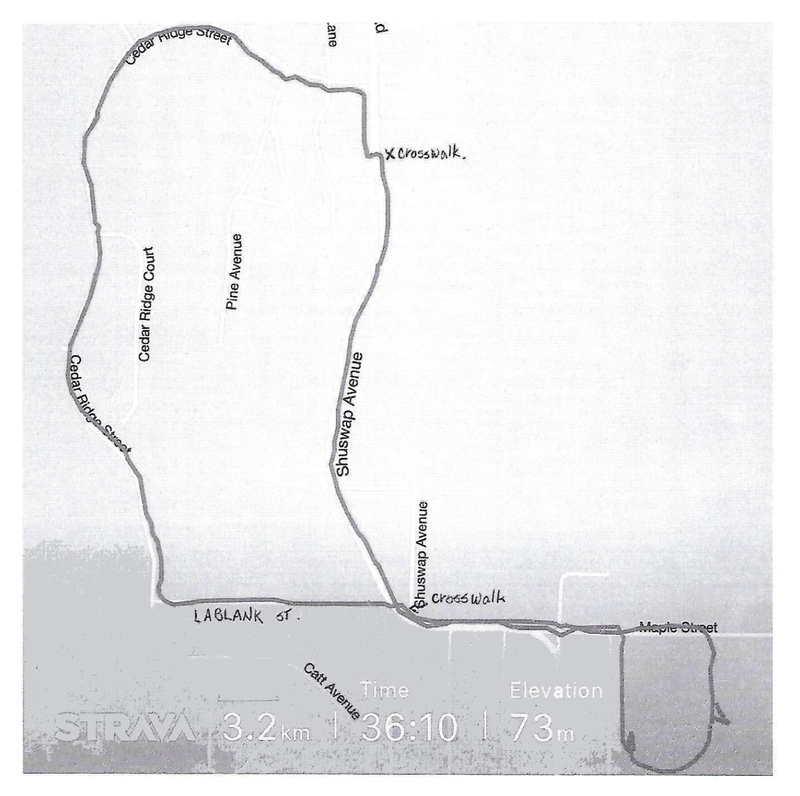 The 5 km route starts behind the community hall on the oval track. Route goes down Maple Street to Quesnel Road that turns in Schwarts Road a fairly level quiet country road sand base. Great for running it’s a there and back with a water stop at the turn around and back to the oval for a one round and finish. There is a $20 registration fee for all participants 15 years of age & over. Kids 14 and under are welcome to participate by donation. Collect Pledges & Win Prizes! Grab or download a pledge form and put your fundraising for the Health Centre into high gear! Prizes for tops pledge collectors by age and category. Don’t want to go it alone? Enter as a team! Enter a team and compete for prizes! Teams who raise the most in pledges will be eligible for fun prizes including a team ‘lunch out’. Challenge other families, local business or clubs. Toss out that challenge and see who claims top spot in money raised for our health society. Please feel free to dress your team up in costumes if you feel so inclined! All participants must register to take part in the Prescription for Health Walk Roll Run Event. We will send you race information and updates by email, so please be sure to give us the one you check most often. Drop by the Lumby Health Centre, 2135 Norris Ave. Lumby BC, to register in person. Please CHECK OUR BUSINESS HOURS. 2018 Sponsorship’s to Lumby & District Health Services Society. Thank you for your support and it is greatly appreciated. Prescription for Health Walk Roll Run sponsors for 2018! Through their generous support, Lumby Health Centre can continue offering the many services, resources and educational workshops our rural community depends upon.